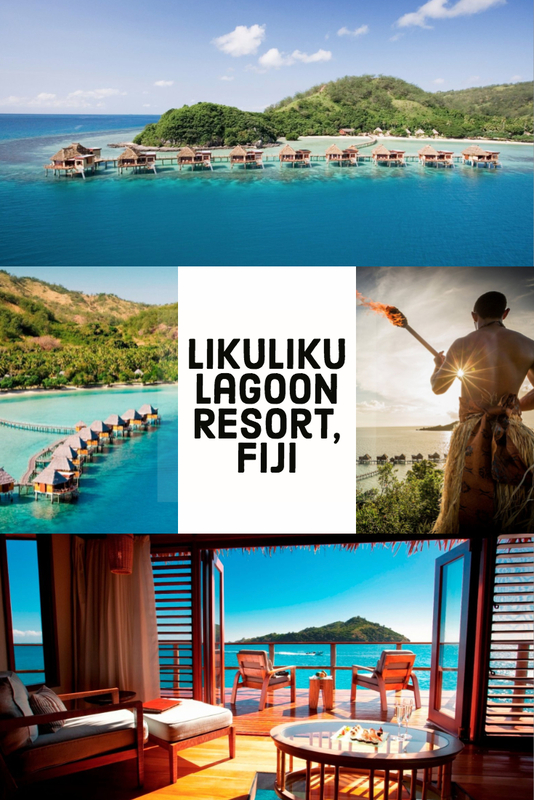 Likuliku Lagoon Resort is an adults-only overwater bungalow luxury resort located on Malolo Island in the Mamanuca island group. With its name meaning “calm waters,” Likuliku offers breathtaking ocean views and incredible snorkeling, due in part to the fact that it’s surrounded by a protected marine sanctuary. Likuliku Lagoon is also a designated sea turtle breeding area and in certain seasons you’ll see nesting activity on the sand and see the turtles swimming in the lagoon. Likuliku is a 100% Fijian owned family business that provides an educational fund for the landowners and a number of flora and fauna educational initiatives including turtle conservation, coral transplanting, and invasive Crown of Thorns eradication. The resort features overwater bungalows (called bures) beachfront, and garden bures. Traditional Fijian designs and architecture and local materials give the bures an authentic atmosphere. Overwater bures feature a large deck with direct access to the ocean and a large bathing pavilion with lagoon views from your bathtub. Deluxe beachfront bures come with a personal plunge pool, while beachfront and garden beachfront bures feature spacious decks or easy lagoon access. Snorkeling at the resort and non-motorized waterspouts include: standup paddle boarding, kayaking, sailing, and windsurfing are enough to keep your days full, however daily snorkel trips to other areas of the reef and fishing excursions are available if you’re looking for a change of scenery. Note that fishing trips take place outside the protected marine reserve surrounding Likuliku. And anglers can troll for Mahi Mahi, Wahoo, Rainbow Runner, and more. Take an Island Hopping tour of Castaway Island, Mana Island, Matamanoa Island, and stop for a swim and snorkel at MonuRiki where Tom Hanks filmed “Cast Away” or enjoy a picnic or snorkeling excursion on Mociu, the resort’s private island. Experience a traditional Fijian church service on Sunday and see how the locals live by touring the villages of Yaro and Solevu or partake in a traditional Fijian Kava Ceremony on Monday evening at Masima Bar. At Fijiana Restaurant Chef Shane Watson emphasizes local and international produce and seafood to create a fresh menu that showcases the diversity of the South Pacific. Private dining on beachside decks and motu picnics on Mociu are also available. Two bars — Masima Bar and Dua Tale Bar — offer daily drink service and Fijian-inspired cocktails. Whether you’re looking to get married or renew your vows, Likuliku Lagoon Resort is the ideal location. From a small, simple ceremony, to a larger Fijian Celebration, the resort can customize your big day. From November through March, certain wedding packages are free when minimum stay requirements are met. Tatadra means “House of Dreams” and the Tatadra Spa does not disappoint! Tucked into the hillside with lagoon views and tropical breezes, the spa offers Fijian-style massages, body scrubs, facials and wraps, all using Pure Fiji spa products. Fly into Fiji’s Nadi International Airport where you will receive a four-month visa upon arrival. Catamaran and Private Speedboat transfers are available or you can take a seaplane or helicopter transfer to the resort with Pacific Island Air. Waterproof reef-safe sunscreen to do your part in protecting the marine sanctuary that surrounds Likuliku.